This year new gimmicks for old concepts and strategies will make seemingly outdated ideas thrive as digital marketing trends, now and in the future. These past few years we witnessed how digital marketing came out of refuge to take chances in newer grounds. Now social media, specifically social networking sites – Facebook, Twitter, and Pinterest, among others, have significantly changed the way digital marketers run their business. Amid the changes brought by social networks, some factors are less obvious in shaping digital marketing operations and the way consumers search and share information. Here are three of the digital marketing trends that will likely increase this year. The digital marketing trends of 2013 cannot ignore the rapid increase of mobile devices, as smartphones and tablets have quickly become more popular – and sellable – than desktop and laptop computers. Mobile marketers who want to make it big with their marketing campaigns need to capitalize on the horde of mobile device owners. The creation of websites and content designed for easier viewing times on mobile devices is an excellent way to tap on mobile technology. Remember to keep customers updated through customized advertising campaigns using instant messaging (IM) as part of your mobile marketing strategy. If you want to keep ahead of competition, there are plenty of ways to exploit mobile marketing to promote a brand, product, or business. 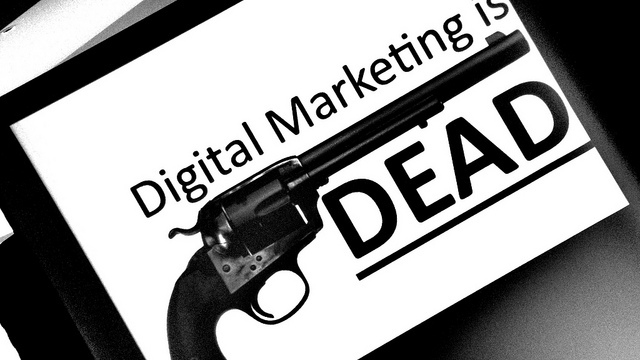 Since this facet of digital marketing is still fresh, it has lots of open space to fill in. Digital marketers who will take an early risk in marketing through mobile devices are more likely to reap harvest quickly in the future than those who will sit and wait. Marketers can use dynamic content to customize marketing campaigns for each website visitor, and this effort relies on data gathering to ease the way each visitor navigates on the site. After repeated visits, the site can pull content or sell goods that may interest the visitor based on the algorithm that works on data collected from previous visits. The Amazon.com website’s “Recommended For You” feature is a one good example, as it analyzes the books a potential book buyer has looked at, searched for, or bought within the site to suggest other titles. Other businesses should follow Amazon’s model and implement similar algorithms on their websites to help pull the specific content that interests each user or visitor. Google AdSense is a popular program that customizes ads through its “remarket” option. Content creation is a great responsibility: a website should provide valuable content that readers can use, and not waste their time. While this is basic, and only requires a change in attitude, you are responsible for the relevant information read by each visitor. We are living in an Internet age fueled by content, and until now most digital marketers have created content to focus on a unified goal – to increase their visibility on Google and other online search engines. Every digital marketing strategist knows that on-page search engine optimization (SEO) remains a key factor in online presence, but SEO has taken a backseat compared to real content quality. Over the years, Google has applied changes to its search engine’s algorithm, so much so that its page ranking system now includes the number of shares and recommendations a webpage collects. Marketers have learned that the best way to gain a higher page rank on Google is to create valuable content that readers will share and recommend to their friends.